In a world where no god watches or guides, humankind is left to itself like orphaned children. And in this world, horror and cruelty of every unspeakable kind lives and breathes. These horrors are echoed in the music of Deus Otiosus. Musically the band can be described as classic death metal. Not that Deus Otiosus reproduce any overdone old school sound, but they strive for the same values that the made death metal pioneers great: Unique identity, well-roundedness and songwriting prowess. 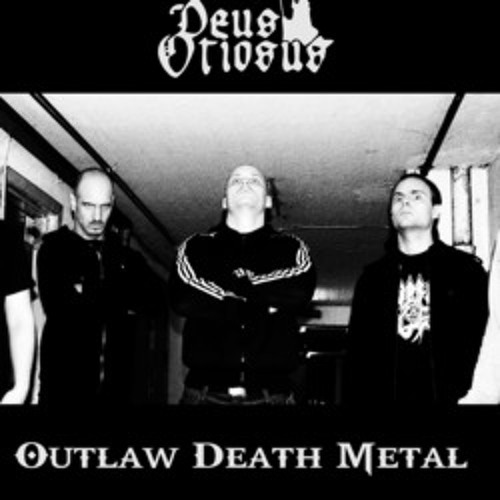 Deus Otiosus has released the full length albums "Murderer" (2010, FDA Rekotz) and "Godless" (2012, Deepsend Records), "Rise" (2014, Deepsend Records) and has played Denmark, Sweden, Germany. 2014 Release of 3rd album, "Rise" on Deepsend Records in june. Followed by mini-tours. 2013 Live shows in Denmark, Sweden and Germany with bands like Sonne Adam, Exhumed and Taake. Record-breaking winner of Tak Rocks Rock Battle and plays Copenhell festival. 2012 Jesper Olsen becomes new drummer.2nd album, "Godless", is released by Deepsend Records. 2011 “Murderer"-album released worldwide by FDA Rekotz. 2010 1st album "Murderer" is released in South America by American Line Prod. Jesper Holst becomes new bassplayer. 2009 Deus Otiosus gathers full line-up: Anders Bo Rasmussen - Vocals Henrik Engkjær - Guitars Peter Engkjær - Guitars Jens Nepper - Bass Søren Bentsen – Drums Live performances begin. Mulligore Productions releases split CD with Hideous Invasion . 2007 Release of the ”Death Lives Again”-demo. 2005 Deus Otiosus is formed by Anders Bo Rasmussen (vocals) and Henrik Engkjær (guitar).